Chipman Creek, a tributary of Pincher Creek, drains an area of foothills and parkland southwest of the Town of Pincher Creek. The Chipman Creek watershed is made up of two main streams: Chipman Creek which flows out of Beauvais Lake and an unnamed tributary which joins Chipman Creek about 4 km upstream of the confluence with Pincher Creek. Trout Unlimited Canada was approached by local landowners concerned about the health of the creek and its watershed. 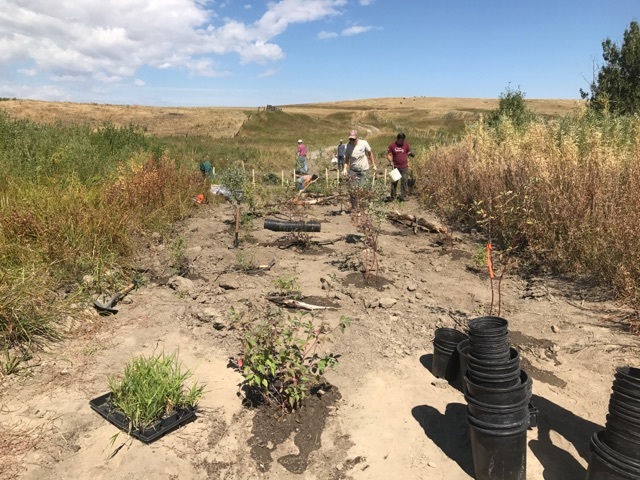 The restoration initiative was launched with the goals of improving the understanding of the current habitat conditions and fish population and to improve the aquatic and riparian health, resilience, and connectivity for fish and other aquatic animals within the watershed. To date, electrofishing and habitat assessments have been undertaken and temperature monitoring is underway. 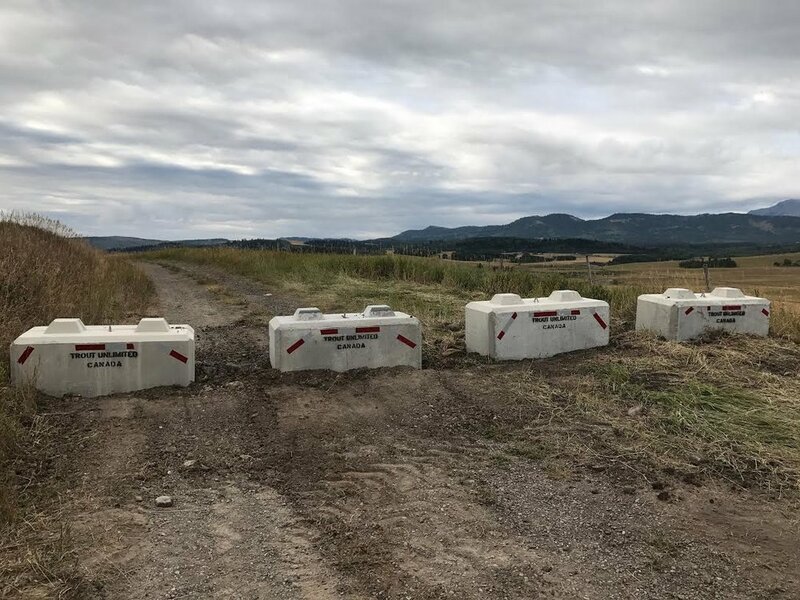 In the summer 2017, the Municipal District of Pincher Creek closed an unimproved road with a stream crossing and Trout Unlimited Canada led an effort to rehabilitate the stream which intersected this road. Preventing vehicles from driving through the creek, along with the restoration work will help the creek heal at this site. Unfortunately, just hours after the road was officially closed, concrete barricades installed, over 250 native plants planted by volunteers, and woody debris installed to reclaim the streambanks, one of the concrete barricades was illegally removed and the creek enhancements blatantly vandalized. An investigation is now underway by local authorities. See our blog post on Chipman here. This project is financial supported by the Alberta Conservation Association.